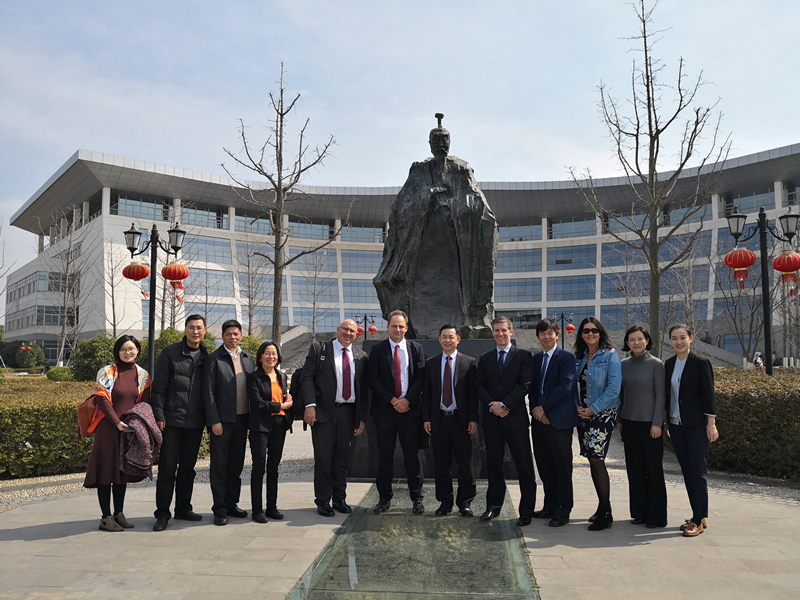 With the invitation of Australia Education Management Group, the delegation of Griffith University under the leadership of Vice Chancellor, Prof. Andrew Smith, formally visited Nanjing University of Chinese Medicine, Xianlin Campus on March 15th, 2019. A four-member delegation from AEMG leading by Vice President, Mr. LV Yuqi also accompanied the visitors. In the morning, the parties from two universities have a discussion on international academic exchange. In the afternoon, the representatives from AEMG, NUCM and Griffith University had a detailed collaboration meeting. The parties further discussed the development and maintenance of Sino-foreign cooperative education projects and the establishment of comprehensive strategic partnerships,etc. During the meeting. 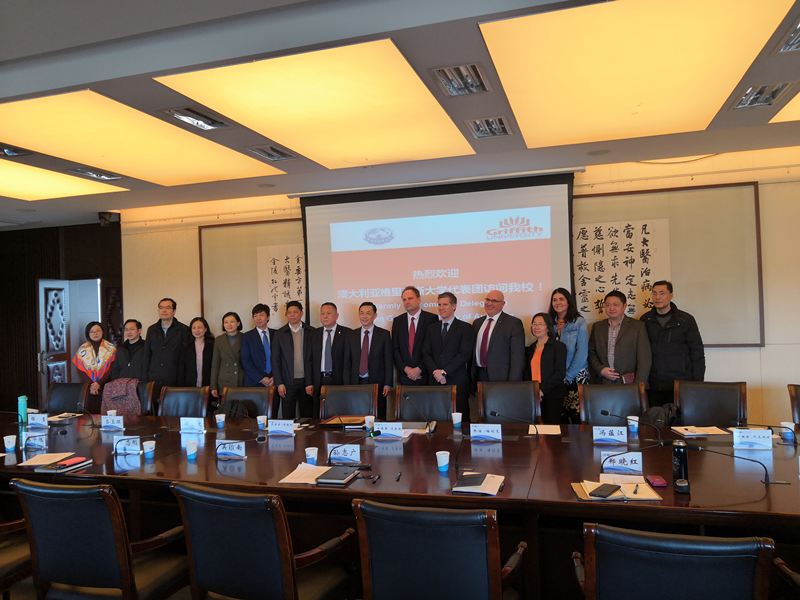 Prof. SUN Zhiguang, Vice president from NUCM, highly appreciated AEMG’s efforts on the cooperation and exchanges of culture, education and scientific research between China and Australia over the years. The visit further enhanced the communication between AEMG and our partner universities, and ensured a smooth and efficient operation of joint education programs.